As far as golf courses go, Durness is one of the remotest that I’ve visited. Durness is north of Moscow and on a similar latitude to Anchorage, Alaska. 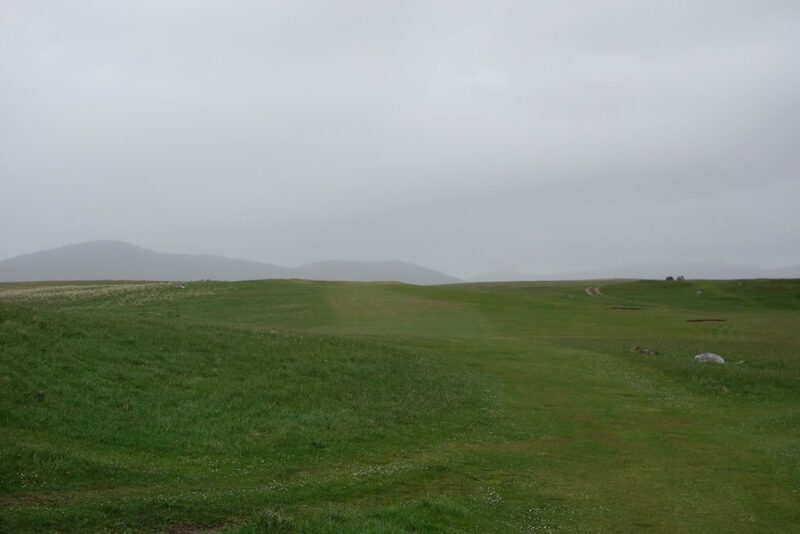 It is the most northwesterly golf course on the British mainland and to put that in perspective, the course is a 2+ hour drive north of Royal Dornoch. What a rewarding and beautiful drive it is! 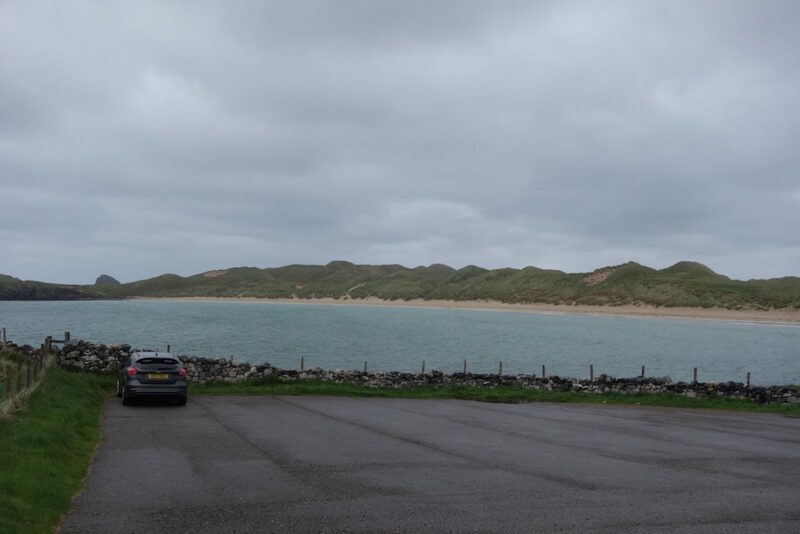 I made the journey to Durness as part of my trip on the North Coast 500. 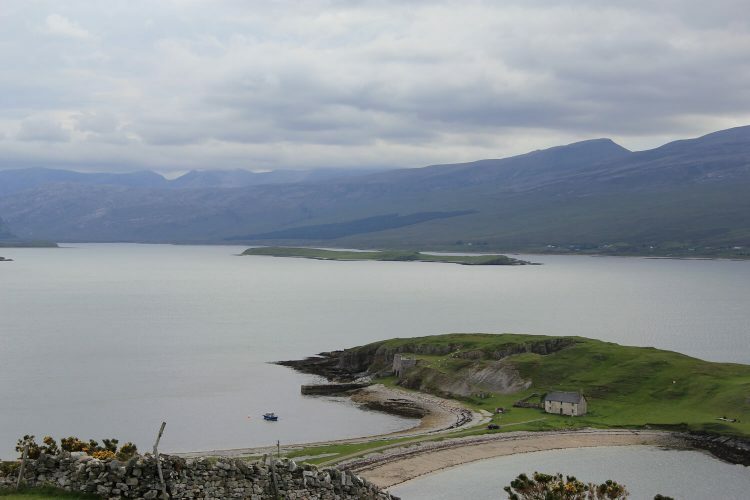 The NC500 is a 500-mile road trip following the coastal roads of the Scottish Highlands. 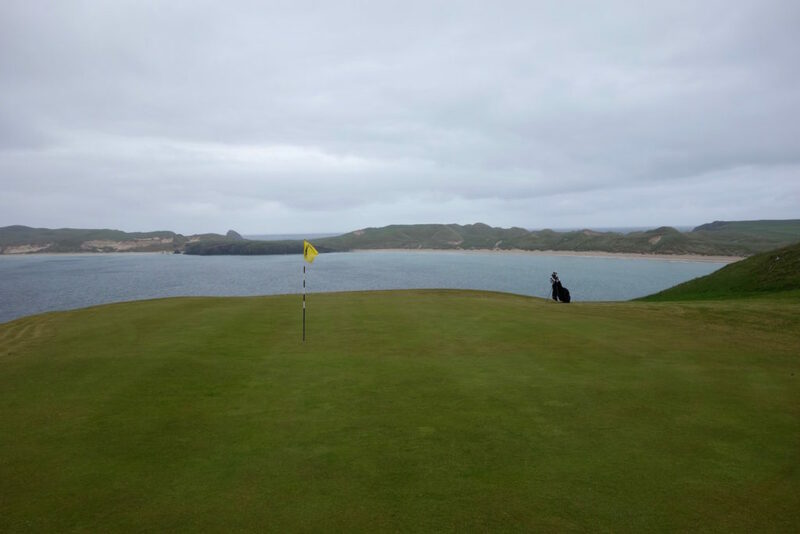 During stops on the road trip, nearly every local golfer recommended, “Stop and play Durness – you won’t regret it!” Lucky for me, my tee time was already booked and my good friend Ru Macdonald of the Scottish Golf Podcast had introduced me to Ali Morrison, the Durness superintendent (check out his Instagram for great photos!). I arranged to meet Ali on my morning of play to hear more about the course and its history. He explained to me that the course is designed with 18 tees and nine greens so that two loops of the course provide two different experiences (the holes below are the “front” nine). He also told me that despite its historical look and vibe, the course only opened 1988. The project was the brainchild of a group of three local enthusiasts and they took on the challenge of building a course on an ecologically sensitive site. 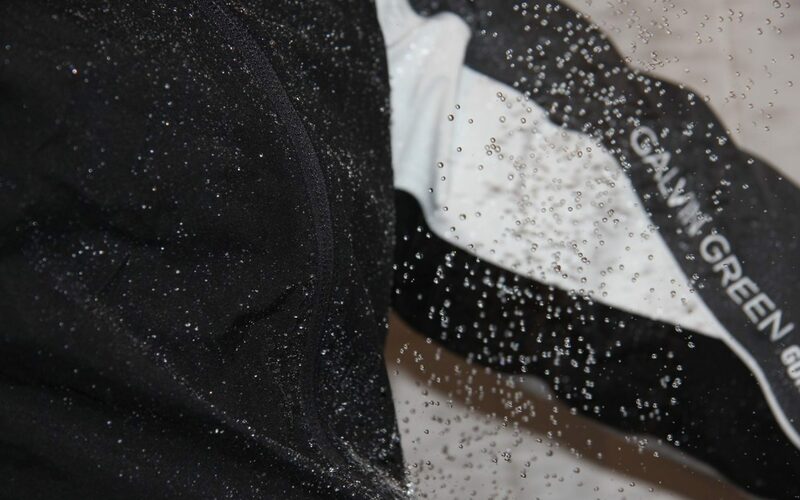 Because of its environmental sensitivity, few pesticides, herbicides, or fertilizers can be used on the course. Additionally, the land is a grazing area for local livestock. All of those factors create a challenge for Ali, but he manages to keep the course was in top shape during my visit. 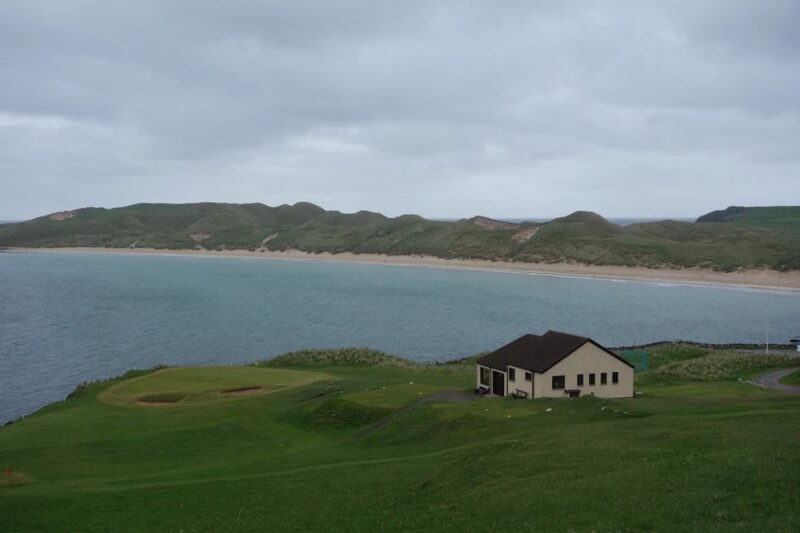 The clubhouse at Durness (seen in the first photo of this review) is a small building with an “honor box” where players pop in to pay their greens fees. 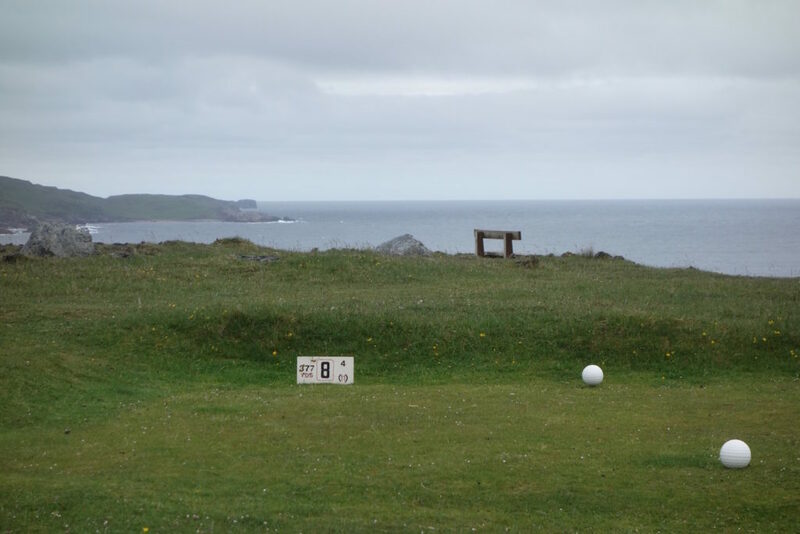 It also offers respite from the strong winds and an opportunity to soak in the panoramic views of the famous 9th green which hangs on the cliffs above the North Atlantic. 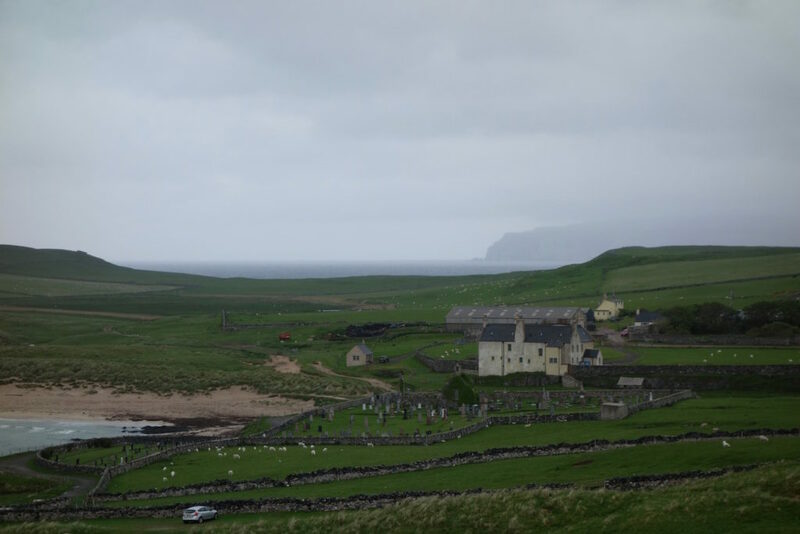 You could wish that Durness was in a more accessible location, but that would take away some of the charm. The challenging drive to the course, particularly if following the NC500 coastal roads, crescendos as it approaches Durness. The road winds around giant sea lochs with only windmills and the occasional fishing village to break up the drive. It’s one of the most beautiful places I’ve seen and it cements the Scottish Highlands and Islands as one of my favorite regions in the world. 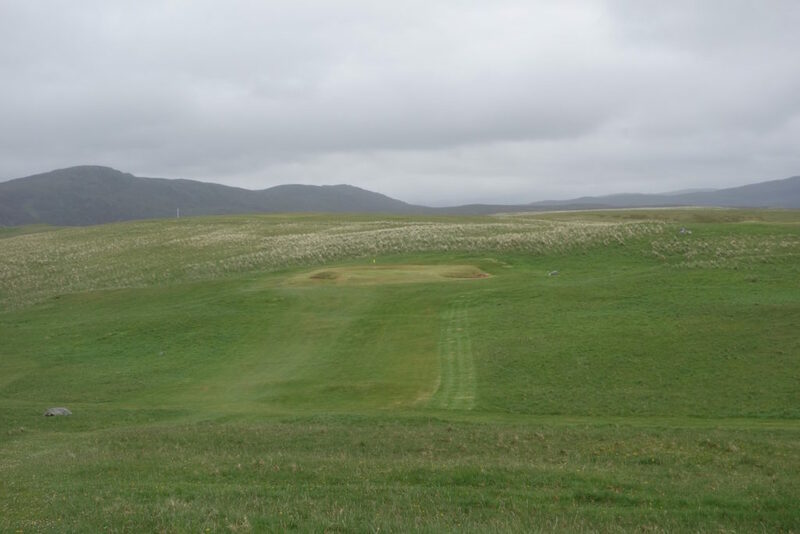 The layout at Durness is divided between holes (1, 8, and 9) overlooking the ocean and expansive views beyond, and holes (2-7) in the rolling hills set back from the sea. The hills are prototypical Scottish Highlands and they look more akin to a Lord of the Rings movie than the backdrop to a golf course. Loch Lanlish sits next to the 6th hole and is a focal point of the second half of the course. The scale of the site seems even bigger due to a lack of rough (thanks sheep!) and lack of definition between holes. Balnakeil Beach runs behind the course with the turquoise blue water found up and down the west coast and western isles of Scotland. To walk the entire beach is nearly 1.5 miles – one way! The water looks Caribbean-blue on a sunny day and this view has to qualify as one of the best parking lot vistas in golf. Hole #1 – The first hole is a dogleg left that makes a sharp turn uphill. The view from the green is certainly worth the uphill walk. Hole #2 – With a stunning view to your back, the course heads toward the dark Highlands hills. Drives can crest the hill and run down toward the green, seen in the second photo below. The aim point off the tee is the center fairway mowing line. Hole #3 – The 3rd plays up and over another hill, this time down to an hourglass-shaped green with a marker pole to guide players. 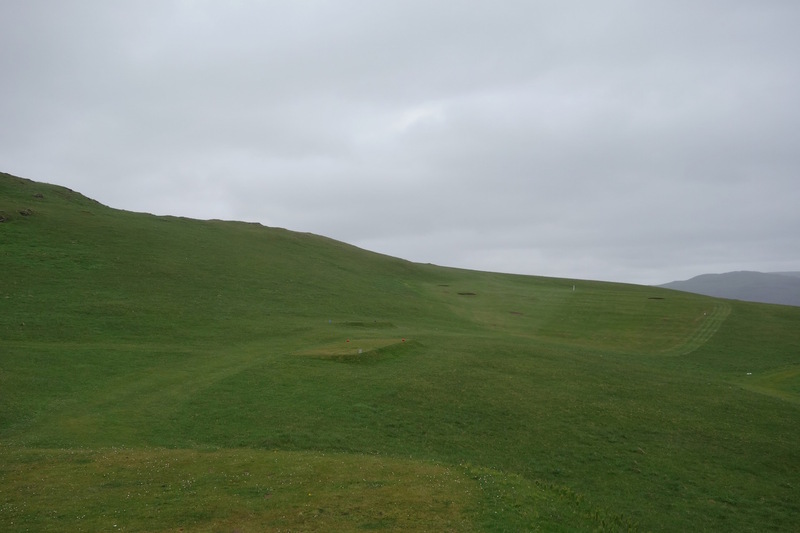 Hole #4 – The first photo below was taken from the hill above and behind the 4th tee. The faint white marker is the aiming point in the fairway, which is a “trough” shape running uphill to the green. 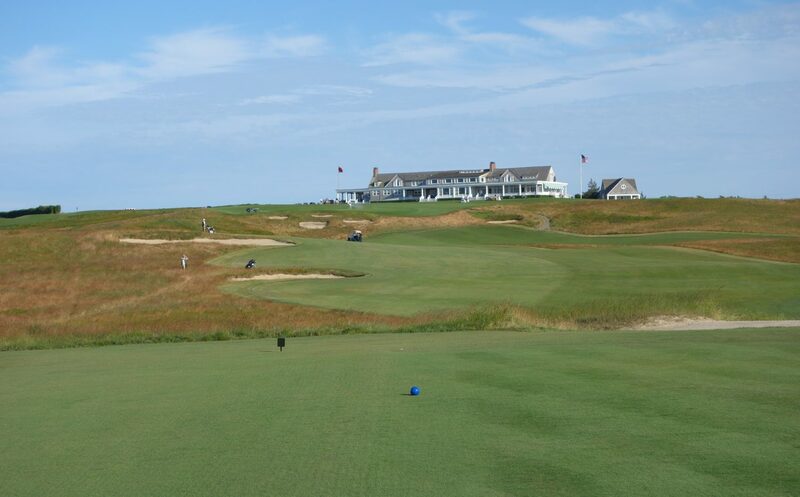 Hole #5 – The 5th turns back toward the sea and clubhouse. 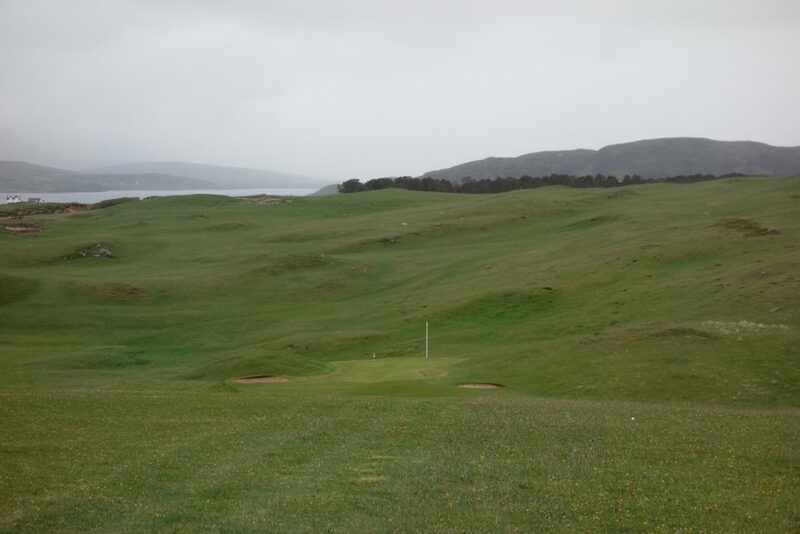 The fairway is wide and due to grazing livestock, there isn’t thick grass in sight. Golfers have to navigate two rocky areas in the landing area and the small raised green presents a great challenge. 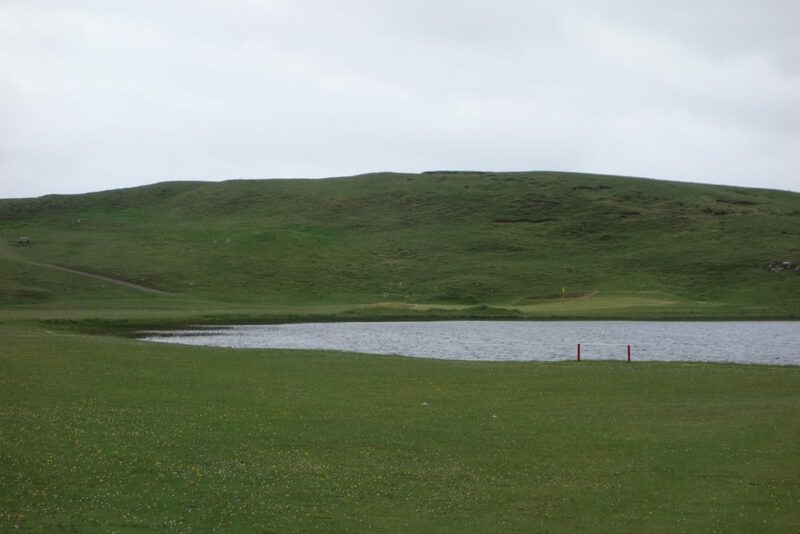 Hole #6 – The 6th is a dogleg right par 5 that hugs the border of the loch. 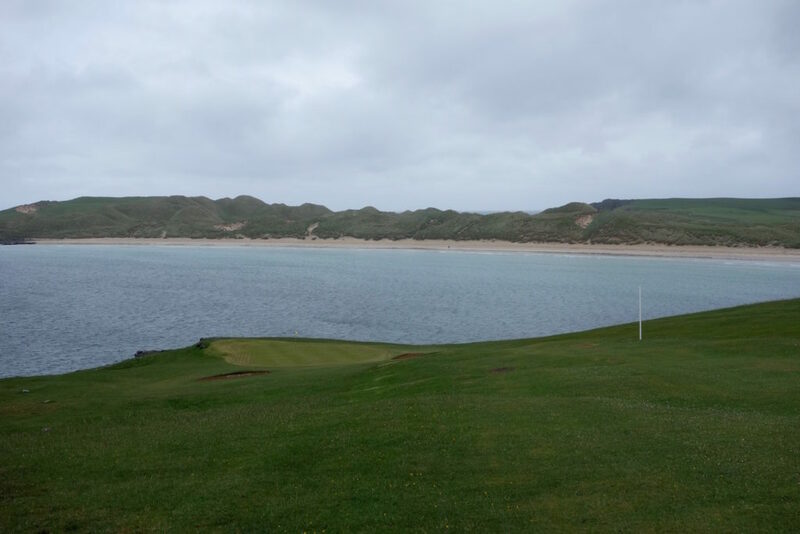 Play well away from the water because the loch cuts in more than expected! Hole #7 – This is a long par 3 heading to back to the hills. The two bunkers initially seem like the challenge here, but I missed the green long right and was faced with a really tough pitch back onto the green. The right to left slopes around this green are much more pronounced than they seem from the tee. Hole #8 – The 8th puts you squarely back on the seaside holes. The green sits next to the cliffs directly over the aiming post, as does an all-world view. The scale of the vista beyond the green can’t be captured in a photograph… Even on a dull, grey, and rainy day, I could have soaked in that view for hours! Hole #9 – The famous 9th hole plays over cliffs and crashing waves to a multi-tiered green. 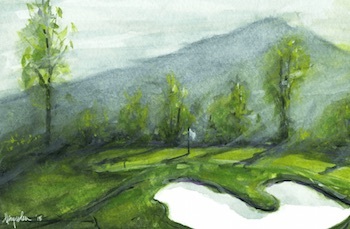 The right side of the green – the natural bail-out area – is guarded by two bunkers. 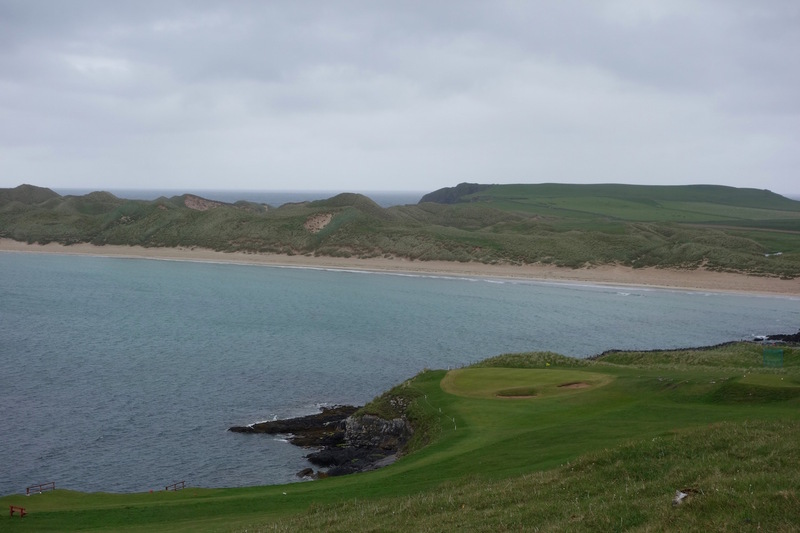 The designers made the most of a great stretch of coastline and while it doesn’t feel as untouched as the rest of the course, it sure is cool. 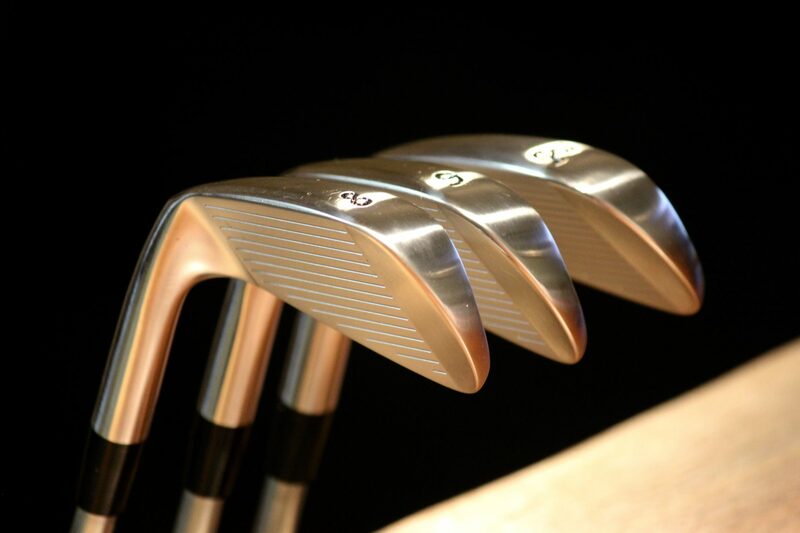 I plan to drive the North Coast 500 again to focus on all of the non-golf activities I passed on my way to the courses. 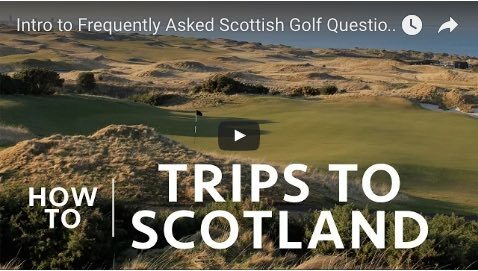 When I do make that trip, I only want to play one course. 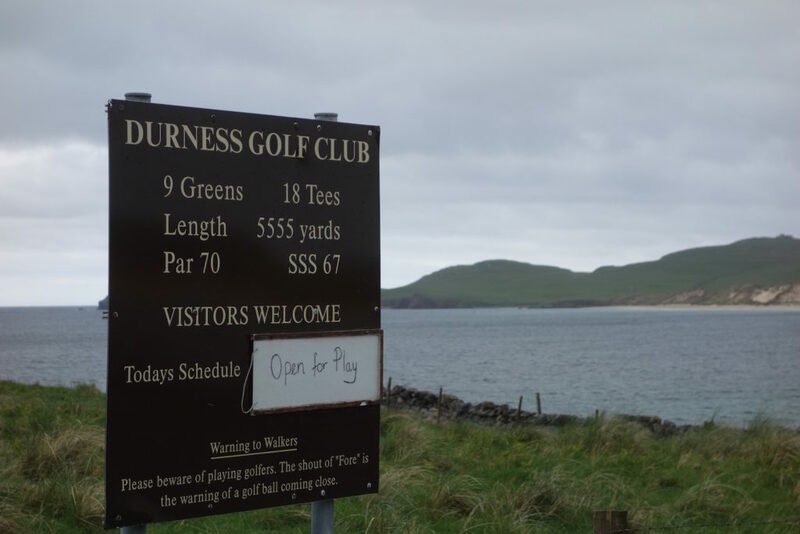 I’m going to play Durness again. 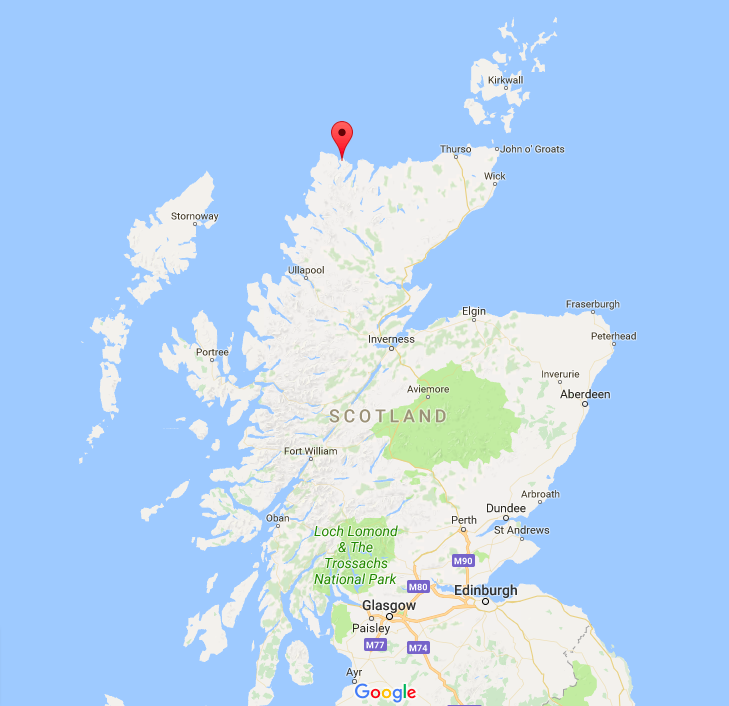 I also want to spend more time in the village of Durness where you’ll find one of Scotland’s best chocolate makers – Cocoa Mountain Chocolate. My plan? Play a quick nine and head down to Cocoa Mountain for a sandwich and hot chocolate. Sounds pretty darn good! You are a lucky man to be able to see and play all these courses! Thanks, Jim! I’m a lucky guy… I’ll keep sharing the experiences along the way! As you know I’m fortunate like you to cover golf for a living – so, delighted you have finally managed to get to see & play the utter ” delights of Durness ” – in no order, it is one of my top 10 places to have played (and photographed) golf in the world – and lucky for me its only up the road those 2 hrs from Dornoch! 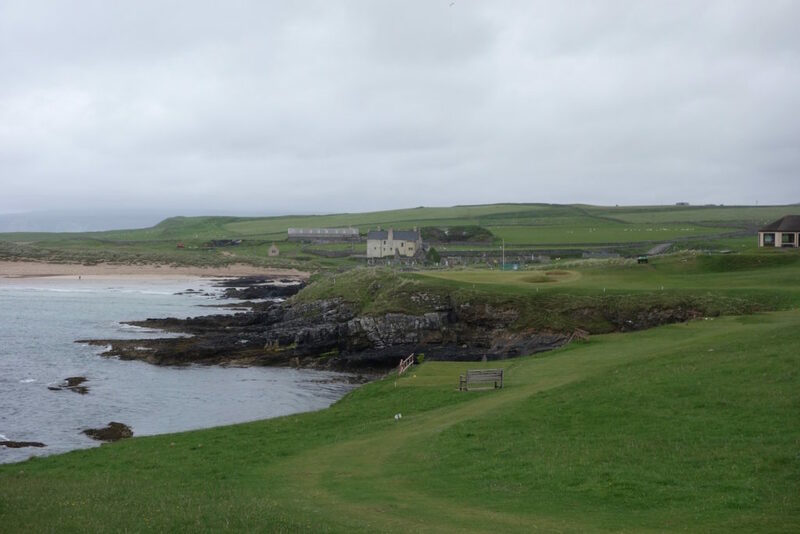 As you said,Ali Morrison does a cracking job on the course and CoCo Mountain is the icing on the chocolate to beautiful remote spot of the Highlands; you do need to go for a long run along Durness beach (Balnakeil Beach) after visiting CoCo though !! A ‘ must visit ‘ ………. I agree wholeheartedly with your assessment. 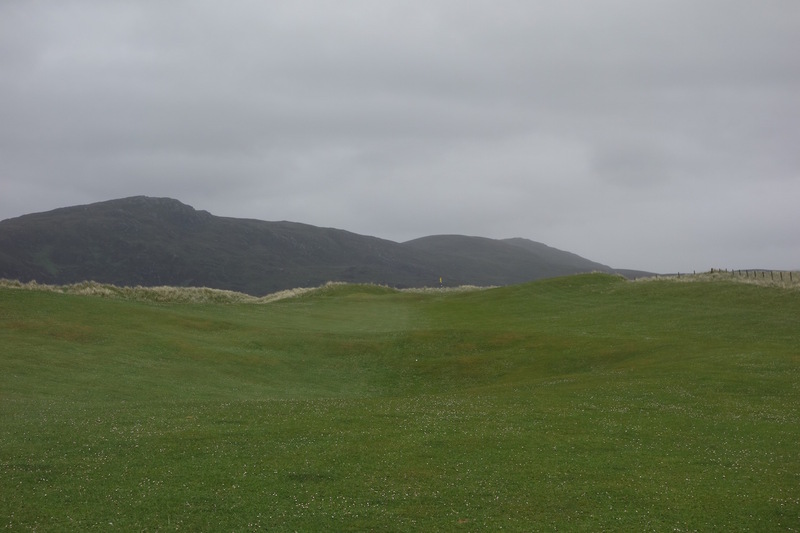 I was fortunate enough to visit Durness last year and thought it was one of the most unique courses in the world. I cannot wait to go back. Another benefit as you point out, the drive there and back is simply spectacular . 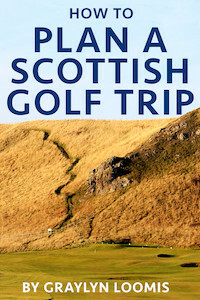 Excellent review – brings back happy memories of the final destination of Golf in the Wild. The drive from Dornoch to Durness was spectacular and worth the effort. When we arrived at Durness, the wind was so strong the course was unplayable. We decided to walk the course and dropped a ball here and there when we found a sheltered area. The proprietors were lovely people and we placed our fee in the honour box, just the same. 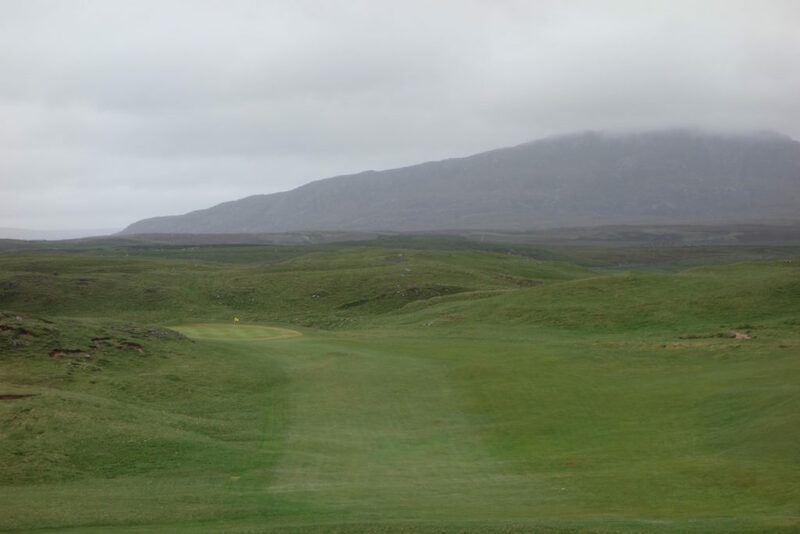 A very enjoyable experience, bringing to modern day what golf in the Highlands must have originally been like. Fortunate to have been with someone from the SGU, who provided plenty of stories and history about the area. Durness was quite an experience. 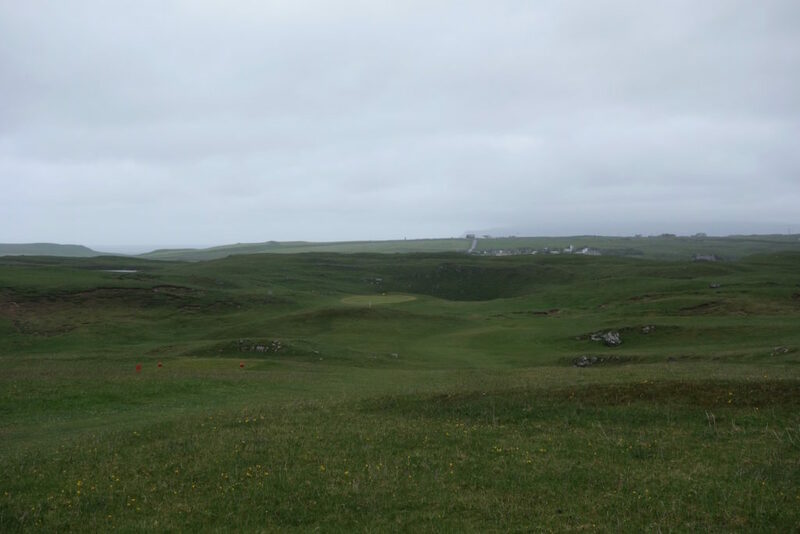 Enjoy reading your reviews,and have fond memories of playing Durness a number of years ago. 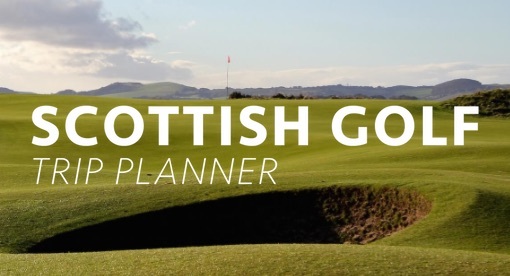 However,a Scottish tour is incomplete without a trip to Crail Golfing Society,10 miles from St Andrews,and just around the corner from Kingsbarns.Instituted in1786,and 7th oldest club in the world,and steeped in history. 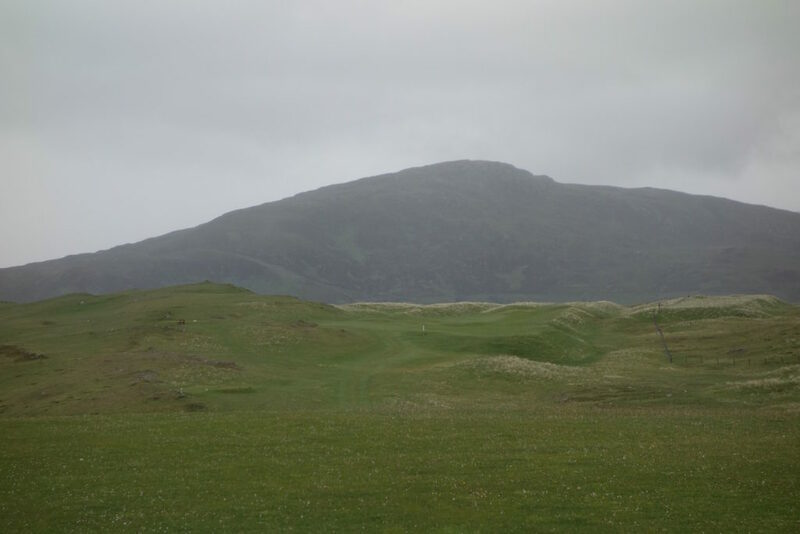 Two courses,Balcomie by the master himself,Old Tom Morris,and Criaghead,first ever course undertaken by Gil Hanse. Hope you have time to check out the website,and come visit sometime? Hi Gordon, thank you for the comments! Take a look through my site and you’ll see that I lived in St Andrews for four years as a student at the university. 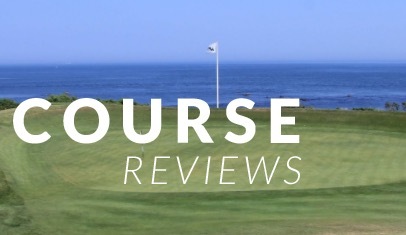 I made the journey to Crail and loved it – my review of the Balcomie course is linked below. I’ll be back soon enough, I’m sure. Thanks again for the support. 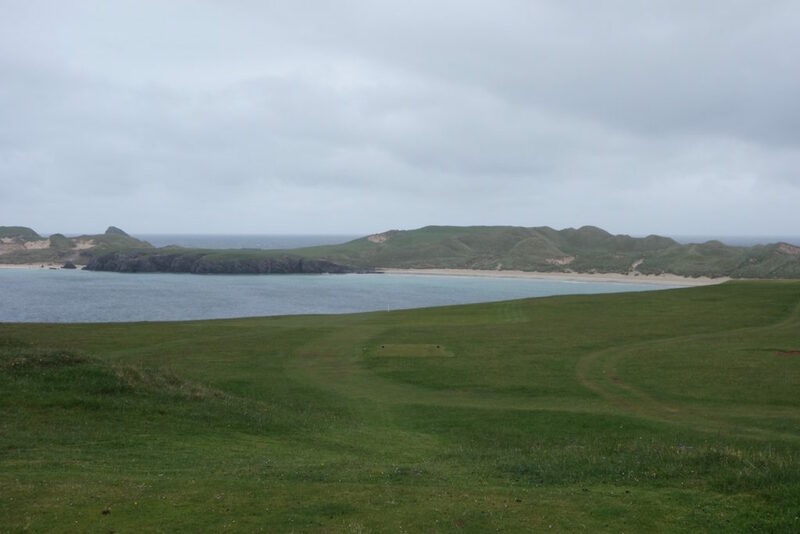 Went to Durness two summers ago, weather was too rough to play , but walked around to ninth hole. It’s a beautiful place and hope to get back to play it ! !